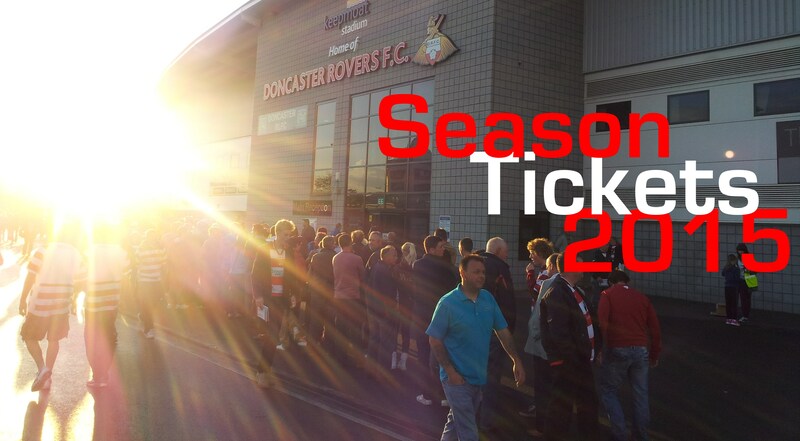 This week sees Doncaster Rovers announce the season ticket pricing for the 2015/16 season, swiftly followed by the new season tickets going on sale on Friday 17th January. As an added incentive to loyal fans, there will also be a range of "money can't buy" prizes up for grabs for those committing to buying their season ticket within the first 7 days of sale. The list of prizes is still to be fully confirmed but includes free replica shirts, the chance to take a penalty on the pitch with £50 up for grabs if you score, getting your season ticket for free, and entry into a draw to win £1879. Full details will be released by the club from Monday 12th January. Next season will also see reclassification of some of the pricing bands for sections of the stadium to help make it easier for supporters to secure a prime spot from which to support the team, plus other activities around the promotion of a singing section to help generate the big game atmosphere within the Keepmoat Stadium.